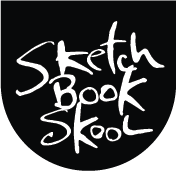 Here’s a little Skype video chat I made with Koosje about her upcoming klass at Sketchbook Skool. She talks about one of her teaching goals: to get people to go outside and draw and she does it on a freezing day in Amsterdam just to show how tough she is. 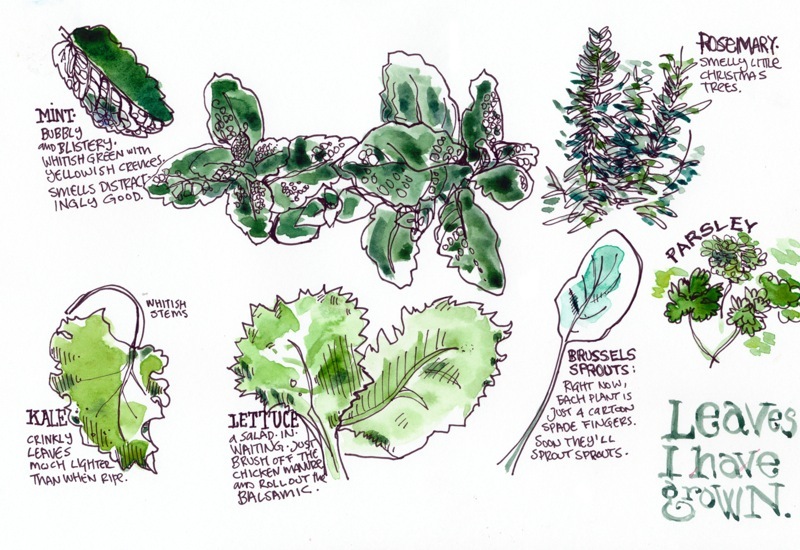 Meanwhile, in LA, it’s a bit damp and I had to put on a sweater to draw some of the vegetable popping up in our garden. Oooohhhh, no fair! It is -28 C here and I would have to add vodka to my water if I was painting outside!!! Can’t wait for classes to start! Angoraphobia, is that the fear of fluffy sweaters? Uh, that was supposed to be the joke. Is there some trick to running these videos without all the stopping and starting and long pauses? I’m sorry you had that problem, Margaret. The video streams from Vimeo and most people don’t seem to have an issue. How’s your bandwidth? I enjoyed the talk between the two of you giving us a little flavor of what to expect. Nice intro to our “second in line” teacher. Great video! I’m looking forward to the classes. How does drawing differ in its essence from say, plumbing? Both are just a way of doing something, which you just learn. Plumbers don’t agonise over their technical inadequacy or need visits from the muses in order to do their job. Why do artists? After all, they didn’t in the middle ages. Then art was just a job, like plumbing. ‘Art’ just means ‘to make’. Real artists keep their pants pulled up. I have a sort of ‘opposite’ condition. I’m relatively disabled, as far as mobility is concerned. I have enrolled, but I’m beginning to have a few concerns about whether I’m going to miss out on some of the content, because I can’t really get outside very well – physically. I am able to drive, so think I should concentrate on how I can get to places and park in appropriate ‘vantage’ places. Does that sound plausible to you? I’d hate to feel left out of stuff! Everything we are doing is about recording your life. So if you don’t go outside much, Then don’t go outside. It’s really meant to be a reflection of your life. We don’t want to push you to places u are not comfortable. Except artistically.